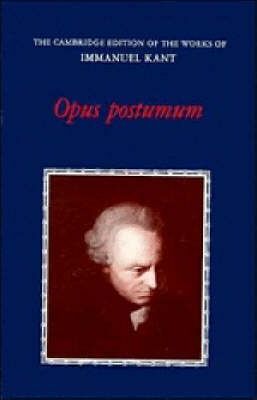 Professor Forster's introduction places the text in the context of Kant's earlier writings and provides a comprehensive account of the remarkable history of the manuscript from Kant's death to its eventful publication in the 1930s. There are extensive explanatory notes and a helpful glossary. Kant's Opus Postumum; Early leaves and Oktaventwurf; Toward the elementary system of the moving forces of matter; The ether proofs; How is physics possible? How is the transition to physics possible? ; The Selbstsetzungslehre; Practical self-positing and the idea of God; What is transcendental philosophy?